The Federal Trade Commission confirmed in a statement Monday that it is currently investigating Facebook data practices as the company faces new scrutiny from the Cambridge Analytica scandal. "The FTC takes very seriously recent press reports raising substantial concerns about the privacy practices of Facebook," said Tom Pahl, acting director of the FTC's Bureau of Consumer Protection. "Today, the FTC is confirming that it has an open non-public investigation into these practices." Facebook stock fell as much as 5% in early trading Monday, pushing the share price below $150 for the first time since July. The stock fell 14% last week as the scandal unfolded. News broke earlier this month that Cambridge Analytica, a data firm with ties to President Donald Trump's campaign, reportedly accessed information from about 50 million Facebook users without their knowledge. CNN reported last week that the FTC was sending a letter to Facebook with questions about how the social media company allowed the data to wind up in the hands of Trump campaign consultants. "We remain strongly committed to protecting people's information," Rob Sherman, Facebook's deputy chief privacy officer, said in a statement provided to CNN. "We appreciate the opportunity to answer questions the FTC may have." Politicians on both sides of the Atlantic have sounded alarms about the data debacle and called for Facebook CEO Mark Zuckerberg to testify. 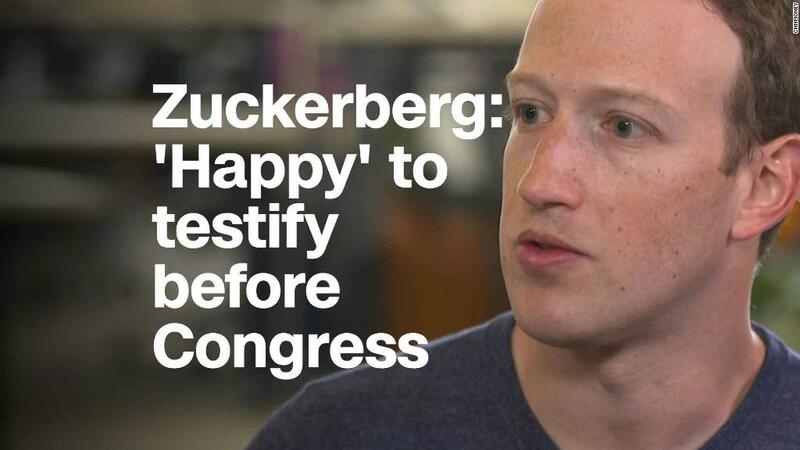 In an interview with CNN last week, Zuckerberg left the door open to testifying. Separately on Monday, a bipartisan group of 37 state attorneys general sent a letter to Zuckerberg asking for details about Facebook's user privacy safeguards. The FTC previously settled a complaint against Facebook in 2011 for falling short of privacy promises to its users. Among other issues, the FTC found Facebook allowed third-party applications to access more user data than they needed to operate. As part of the settlement, Facebook was told to get the "express consent" of users "before sharing their information beyond their privacy settings." The FTC is reportedly looking into whether Facebook violated the settlement. Sen. Ed Markey, a Democrat representing Massachusetts, tweeted Monday that the FTC is "investigating whether Facebook violated a binding agreement," which could result in "millions in penalties." "The FTC is firmly and fully committed to using all of its tools to protect the privacy of consumers," Pahl said in the statement Monday. "Companies who have settled previous FTC actions must also comply with FTC order provisions imposing privacy and data security requirements." -- CNN's Dylan Byers contributed to this report.